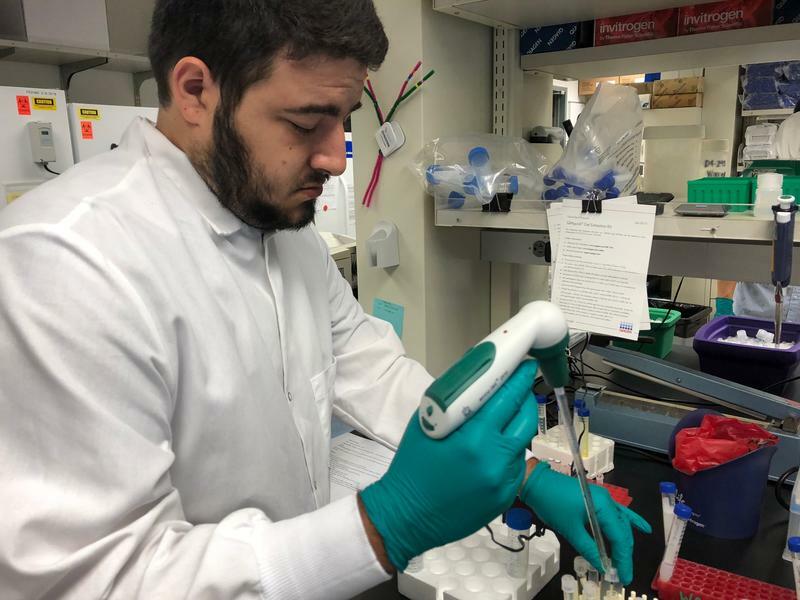 Blaine Alvarez, a biology teacher from Hazen High School in Renton, has been participating in the Science Education Partnership at the Fred Hutchinson Cancer Research Center. Seattle is well known across the country for cancer treatment and research. For three weeks this summer, 24 secondary school science teachers from across the state are getting to tap into that expertise through a program called the Science Education Partnership at the Fred Hutchinson Cancer Research Center. Blaine Alvarez is one of them. He’s a biology teacher at Hazen High School in Renton, but during this program, he’s been on the receiving end of the teaching. 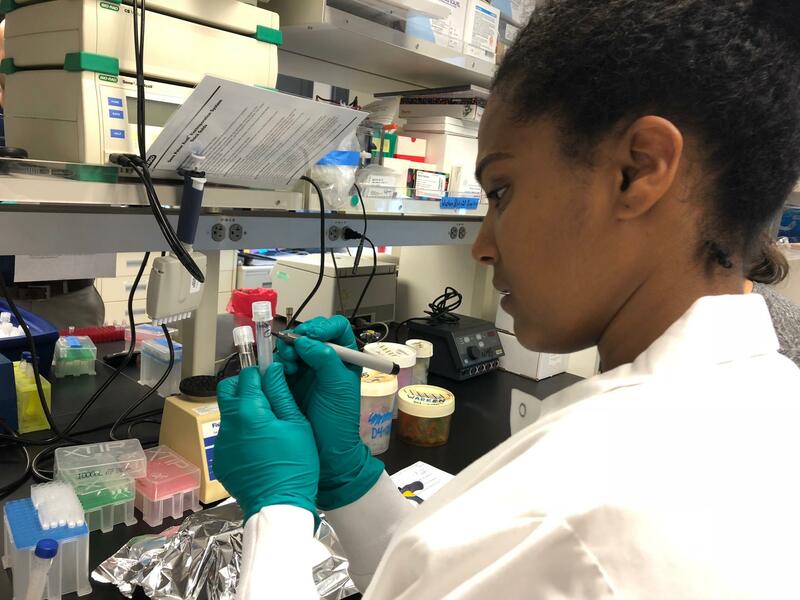 Wearing a white coat and green rubber gloves, Alvarez used an automatic pipette to carefully add buffer solution to test tubes of T cells. He looked at a sheet of instructions and turned to his mentor, Alicia Morales, for guidance. “For this particular time, you do not need to do math,” Morales said. Morales is a lab technician at Fred Hutch who’s been researching a possible immunotherapy treatment for kidney cancer. She also takes time away from her regular work to mentor teachers such as Alvarez as part of this program. She has a unique perspective because she started as a participant back when she was a teacher in Bremerton. She said it was an intense learning experience and gave her more empathy for her students struggling to understand something new. “Those kids who were yawning, or those kids who forgot, or those kids who are feeling overwhelmed and you can see the anxiety on their face, I can better recognize that because I had that same face that summer,” she said with a laugh. The program continues into the school year. Mentors continue to offer support and serve as sounding boards for teachers, and teachers can check out kits of equipment from Fred Hutch to use with their students to do lab work. Jeanne Ting Chowning, senior director of science education and training at Fred Hutch, said this year they’re focusing more on encouraging teachers to engage in open-ended research questions with their students. Jeanne Ting Chowning, senior director of science education and training, shows one of the kits of equipment that teachers can check out. 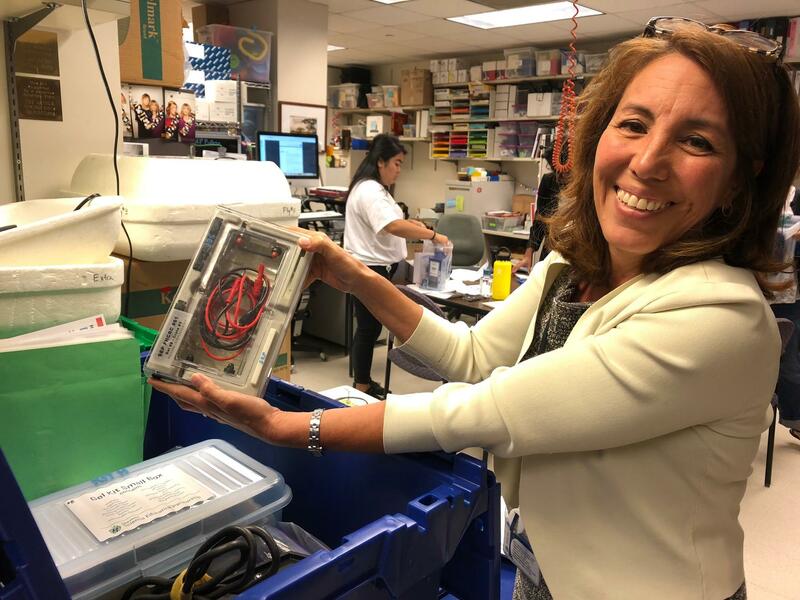 Selamawit Bariamichael, who teaches at a small, religiously affiliated school called Seattle Urban Academy, said she’s excited to have access to the scientific equipment, including gel electrophoresis, which is used for separating DNA fragments. Selamawit Bariamichael teaches science at Seattle Urban Academy. Alvarez said he’s also looking forward to using more sophisticated tools with his students, and he said that after spending time with researchers trying to find better ways to treat cancer, he has a message he wants to convey to his students. “This is a totally achievable career path for them if that’s something that they’re interested in,” Alvarez said. More than 500 teachers have participated in the Science Education Partnership since it started in 1991.